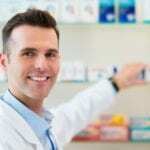 A pharmacy technician works under the direct supervision of a registered pharmacist. Technicians work with the rest of the pharmacy team to process medication orders, compound and distribute medications, answer customer queries, prepare IVs, run pharmacy software, manage inventory, prepare claims, and manage billing and record keeping. In addition to these routine tasks, pharmacy technicians today are doing a lot more. A trained and certified pharmacy technician’s duties now include patient follow-up services to minimize medication errors, recording medication histories, performing medication reconciliation, communication with providers, and resolving issues with insurance payments. The expanded role not only creates demand for more technicians but also increases reliance on the services pharmacies provides. The growing breadth of responsibility demands better education and certification for pharmacy technician. In order to lift the standards for certified pharmacy technicians, the PTCB will require mandatory background checks, completion of an accredited pharmacy technician program, and rigorous continuing education by the year 2020. Greenville Technical College facilitates both a certificate and diploma in applied science pharmacy technician program. The curriculum includes classroom lectures and laboratory instruction, which take place on campus and an off-campus externship at a local pharmacy. The program offers day and evening lectures. The practical lab takes place during the morning or afternoon or on one Saturday per month. Students learn how to transcribe medication orders, fill and deliver prescriptions, and assist with inventory management. Areas of study include pharmacy math, introduction to pharmacy, therapeutic agents, pharmacy practice, pharmacy law and ethics, medical terminology, and commonly prescribed brand and generic drugs. Interested persons must attend a Career Talk session prior to applying to the program. Entrance requirements include an acceptable ASSET or COMPASS score, active SC Pharmacy Technician Registration, active certification with the PTCB, have at least 1,500 hours as a pharmacy technician, pass a criminal background check and 10-panel drug screen, have healthcare provider CPR, and complete a pre-clinical orientation. Tuition for the program is $4,024. Books and supplies cost $1,091. Virginia College’s pharmacy technician program prepares students for the role of an assistant to a pharmacist. The learn how to stock prescription and over-the-counter medications, update patient records, count and pour medications, prepare and dispense medications, and manage the cash register. Graduates are able to classify body systems and their relationship to prescriptive medications, use the proper organization for medical records and inventory control, utilize medical terminology and distribution systems in retail and institutional pharmacies, use critical thinking to assist the pharmacist with a wide range of duties, and use computerized systems is dispensing medications. Course topics include customer service, career exploration, introduction to pharmacy, pharmacological calculations, pharmacy law and medication safety, pharmacy terminology, community and institutional pharmacy, disease management and prevention, sterile compounding and aseptic techniques, and PTCB review. Students must complete a minimum of 60 credit to graduate from the program. Applicants must pass the WonderlicSLE, hold a highs school diploma or GED certificate, complete a criminal background check and drug screen, and complete a pre-acceptance interview. Tuition for the program is $24,220. The Pharmacy Technician course at Palmetto School of Career Development prepares students to go from the classroom to the world of work. The curriculum covers sterile product compounding, pharmacokinetics, pharmacology, processing and recognizing drug orders, pharmacy calculations, ordering and maintaining inventory, and HIPAA mandates and other laws that affect practice. Applicants can register online or call the school to set up an appointment. Students complete the program in 12 weeks. Classes meet Wednesdays from 6:00 pm to 9:00 pm. A high school diploma or GED is required for admission. A criminal background check, drug screen, and CPR training may be required. Tuition for the program is $2,100. Students enrolled in the Pharmacy Technology program at Piedmont Technical College learn about medications and their effects on the body, packaging and labeling, dispensing of medications, and pharmacy operations to assist licensed pharmacists in a variety of pharmacy setting. The program is accredited by the ASHP. The curriculum blends theoretical instruction in the classroom with hands-on experiences to produce graduates who are well prepared to practice within the rapidly growing field. Students develop clinical skills through hands-on experiences in the school’s dedicated pharmacy lab and rotations at local retail and institutional pharmacies. Students must complete 48 credit hours to graduate from the program. Areas of study include English composition, intermediate algebra, medical terminology, introduction to pharmacy, pharmacy practice, basic anatomy and physiology, pharmacy technician math, introduction to computers, therapeutic agents, pharmacy law and ethics, patient care relations, and much more. 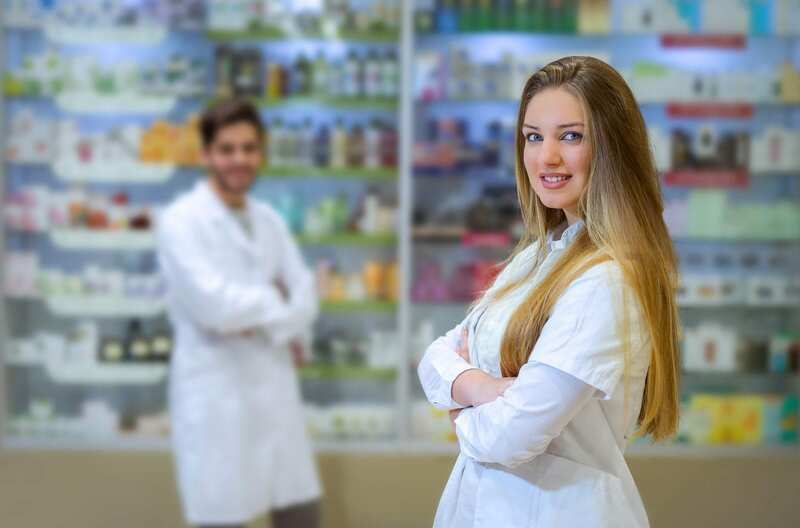 South Carolina requires candidates for state certification to earn a pharmacy technician diploma, pass the PTCE, and work 1,000 hours as a registered pharmacy technician. Tuition for the 40-week program is $8,673. Books and supplies cost $1,919.